The CPS Inspector General is investigating the district’s $20 million principal professional development contract with the SUPES Academy, Catalyst Chicago has learned. The contract is by far the largest no-bid contract that CPS has entered into in at least five years. And the contract has raised suspicion because CEO Barbara Byrd-Bennett had a previous relationship with SUPES. Catalyst detailed those ties in this story, not long after the contract was quietly approved by the School Board. CPS officials and board members said this summer that they did not ask for bids and gave the contract to SUPES Academy because of its ability to tap a bevy of school administrators to teach workshops and serve as coaches. The pricey initiative is called the Chicago Executive Leadership Academy or CELA. However, a Catalyst analysis of the list of superintendents and other school administrators who work as coaches and lead workshops shows a web of ties between the educators, their school districts and SUPES or its associated companies. Because the coaches and master teachers are paid by SUPES, which is a private company and not subject to the Illinois Freedom of Information Act, their compensation is not public. Sources say that coaches are paid a flat fee of several thousand dollars for each principal they are assigned to coach, plus a lump sum for each day of master teaching. According to a log of coach contacts obtained by Catalyst, 34 coaches are working with an average of 10 principals each. One of these coaches is Ed Heatley, who resigned from a suburban Atlanta school district and is now Commissioner of Education for the Bermuda Ministry of Education. During his tenure in Georgia’s Clayton County School District, Heatley was criticized for his harsh leadership style, his handling of budget cuts and the appearance of impropriety with a district employee. Heatley coaches 29 CPS principals and all of his contact with them has been via e-mail, according to the coaches’ log. Gary Miron, an education professor at Western Michigan University, says that as an increasing number of for-profit businesses get involved in public education, more needs to be known about the relationships between the businesses and school district administrators. Much of his work has focused on educational management organizations that run charter schools and he has found several that employ former officials after receiving lucrative contracts from their school districts. “It is disgraceful,” Miron says. He notes that congressmen cannot be a consultant or work for a company that has a government contract for years after leaving their post. The ban keeps company officials from promising lucrative future payment to lawmakers as they negotiate government contracts. Miron also notes that private companies lack transparency, so school board members might have no idea about the nature or extent of relationships with administrators. In an emailed response to questions from Catalyst, SUPES Academy President Thomas Vranas wrote that the company adheres to each district’s guidelines regarding hiring and consulting, as well as the necessary disclosures in each district’s purchasing, procurement and legal processes. Vranas declined to be interviewed via telephone. He also stated that the company’s selling point is access to “talented leaders” and therefore it should be no surprise that the coaches and master teachers are current superintendents and deputy superintendents. “They are renowned superintendents,” she says. CPS, however, acknowledges a steady chorus of complaints from principals critical of the quality of training. The for-profit SUPES Academy has two branches, one that trains superintendents and another that trains principals and other administrators. Gary Solomon and Thomas Vranas, the men who run the Wilmette-based SUPES, have two other companies—a school administrator search firm called PROACT Search and one that does turnarounds of school districts called Synesi Associates. But with three inter-related businesses, school leaders can easily become entangled. An example is S. Dallas Dance, the superintendent of Baltimore County, Md. Public Schools, which serves 108,000 students. Dance is now serving and getting paid as both a master teacher and a coach for 11 CPS principals. 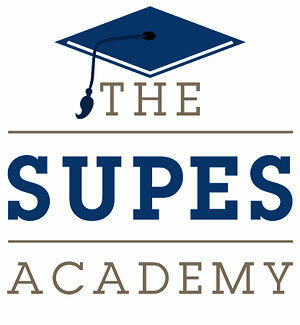 In 2011, Dance participated in the SUPES Academy superintendent training program. In July of 2012, he was hired for his current position. Five months later, in December of 2012, the Baltimore County Public Schools board approved an $895,000 contract to have SUPES work with a cohort of principals over three years, according to the district’s website. District officials say the contract was not bid out because they were “piggy-backing” on a contract that SUPES had with St. Louis Public Schools. The St. Louis superintendent is also a SUPES master teacher. Mychael Dickerson, spokesman for Baltimore County schools, says Dance has yet to be paid for any of his work with SUPES, but that, except for travel expenses to Chicago, Dance plans to turn his payment over to the non-profit Education Foundation of Baltimore County Public Schools. Dickerson would not specify how much Dallas expects to be paid. Baltimore County School Board President Lawrence Schmidt says Dance’s contract allows him to do consultant work as long as it doesn’t interfere with his duties as superintendent. Also, because the school district entered into the contract with SUPES before Dance began working for the firm, Schmidt does not think it is a conflict of interest. “It is fairly common for superintendents to lecture or serve as a mentor and I don’t necessarily think it is a bad thing or inappropriate,” Schmidt says. Chicago Public Schools is seeking to recoup money spent on the crooked SUPES contract and other penalties under a state law that allows government agencies to sue individuals who commit fraud against them.